The Park Board of Commissioners welcomes public comments during open session meetings held by the Board. The Board has adopted the following best practice protocol for public comment sessions during a meeting to ensure efficient and effective dialog with the attending members of the public and the Park Board of Commissioners. to appoint only one person to speak on behalf of a group. B. Each person will be permitted to speak one time only, unless the Chair determines that allowing a speaker to address the Board again will contribute new testimony or evidence germane to an issue on the agenda for that meeting. C. Unless a representative spokesperson is appointed in the manner described in Rule E, all comments from the public will be limited to three (3) minutes per person. 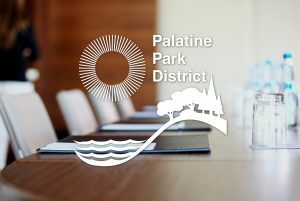 D. The total time available for public comment during any meeting shall be limited to 30 minutes unless the Board waives the rule prior to the commencement of the time for public comment. If the Board finds there are more numerous requests to make public comment than time will permit, the Board shall make an effort to ensure an equal amount of time for comments in favor and against the subject matter of the comments. The Board shall not be required to allow every person who wishes to address the Board to do so, so long as the Board finds that representative comments have been presented for each side of an issue subject to debate. Any person who is not allowed to make remarks during public comment shall be permitted to submit written comment to the Board secretary either before or after the time for public comment. E. Groups may register a representative spokesperson by filing an appearance form no later than one (1) hour in advance of a meeting. The appearance form must designate (i) the number of people the designee represents for the purpose of making public comment and their identities; (ii) the subject matter of the public comment; and (iii) whether the subject matter is germane to an item on that meeting’s agenda. Any person identified as being represented by a ground spokesperson shall be deemed to have waived their opportunity to speak independently unless the Chair determines that allowing such a speaker to address the Board will contribute new testimony or evidence germane to an issue on the agenda for that meeting. A representative spokesperson who timely files a complete appearance form to speak on a matter germane to the agenda shall be permitted to speak for three (3) minutes for each person being represented, up to a maximum of fifteen (15) minutes. A representative spokesperson who timely files a complete appearance form to speak on a matter not germane to the agenda shall be permitted to speak for three (3) minutes for each person being represented, up to a maximum of nine (9) minutes. F. All comments must be civil in nature. Any person who engages in threatening, slanderous, or disorderly behavior when addressing the Board shall be deemed out-of-order by the presiding officer and his or her time to address the Board at said meeting shall end.